Tokyo is probably one of the cities Singaporeans love to visit most, if not for the good food, then for the wide variety of shopping. 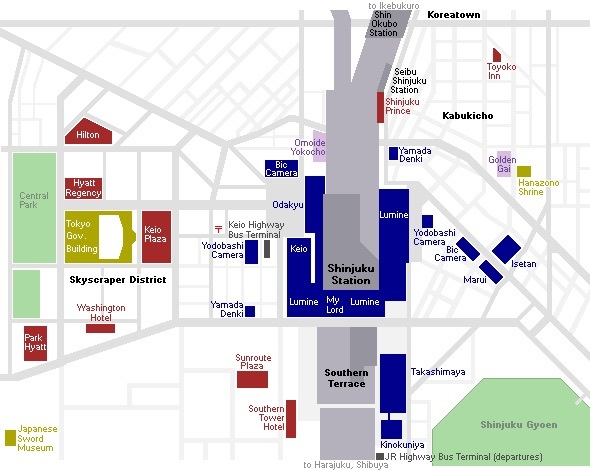 Here are our top places to check out in Tokyo. Shibuya 109 is a mecca for young and fashionable Japanese girls in Tokyo. The towering building has 10 floors of stores and cafes, including popular Japanese fashion brands like EMODA, Samantha Vega and CECIL McBEE. 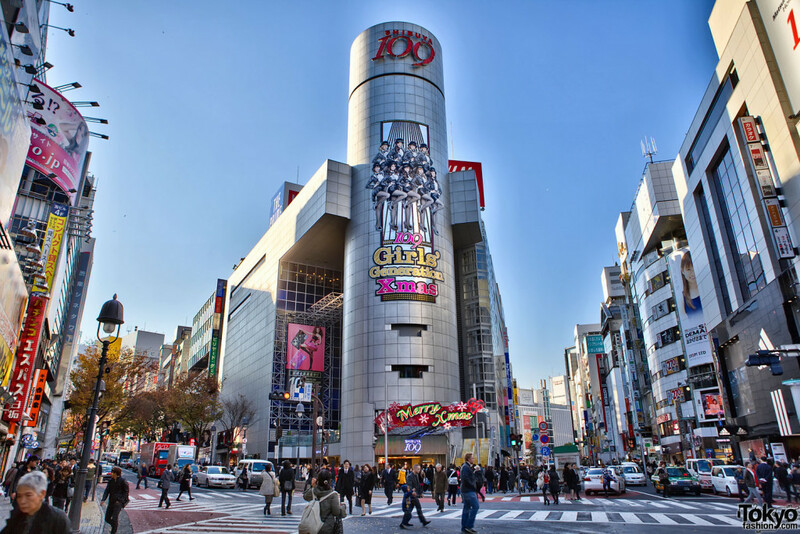 Shopping at Shibuya 109 is a somewhat harried and noisy experience though (not because the people there are rude, but because it’s just SO crowded all the time, especially on the weekends) – so it’s best to leave the men/your parents out of this shopping experience. Trust me, they’ll be much happier sipping coffee at one of the many cafes around. 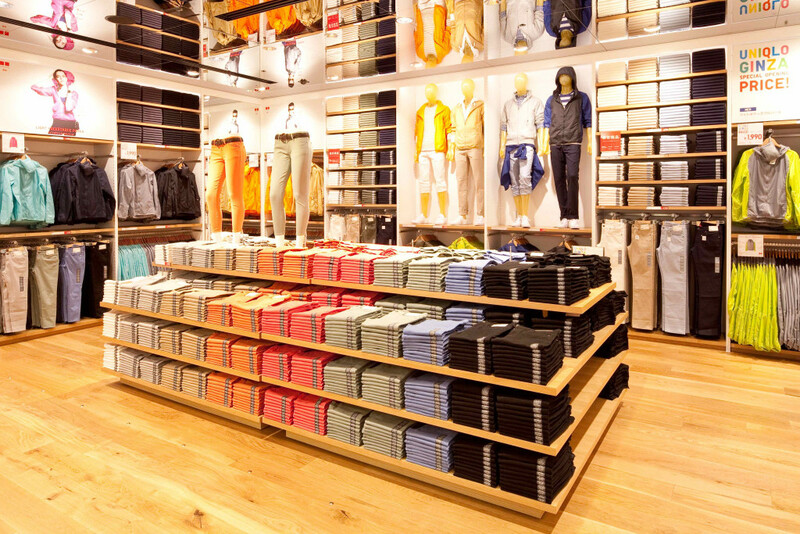 While you’re in the area, also check out the huge H&M and Forever 21 stores which are a short walk away. 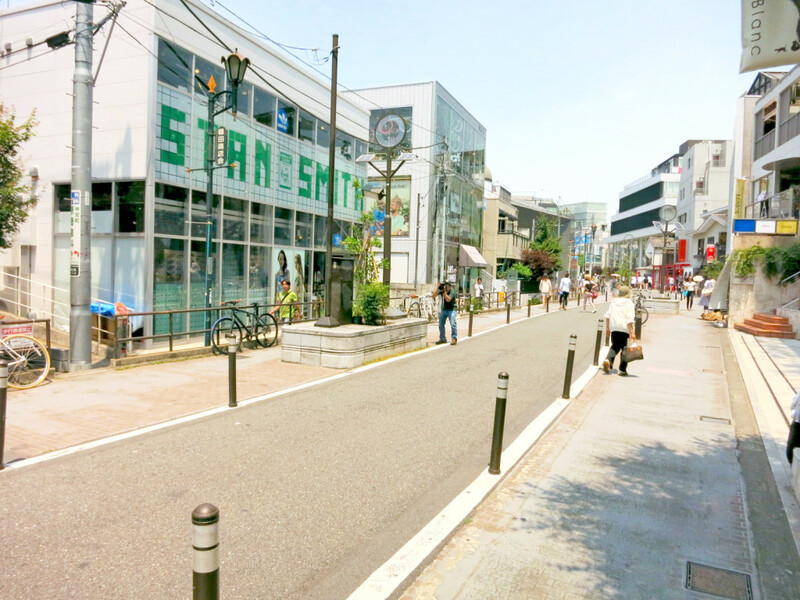 Nearest Train Station: Harajuku (Omotesando exit) or Meiji-Jingumae (Exit 4). Walk towards Omotesando Hills and look out for the big Ralph Lauren boutique. Cat Street is located directly behind. Opening Hours: Varies based on each store, but most open at 11am and close around 8pm. If you’re more into the understated hipster look than kawaii fashion, check out Cat Street instead. The shopping street has a cool back-alley vibe, and you can find dozens of interesting boutiques selling clothes, accessories and even handmade candy. There are also several upscale boutiques on Cat Street, including LANVIN en Bleu and Kate Spade Saturday. You’ll also probably see more than one person taking street style photos on this street, so don’t feel paiseh about taking your OOTD here. 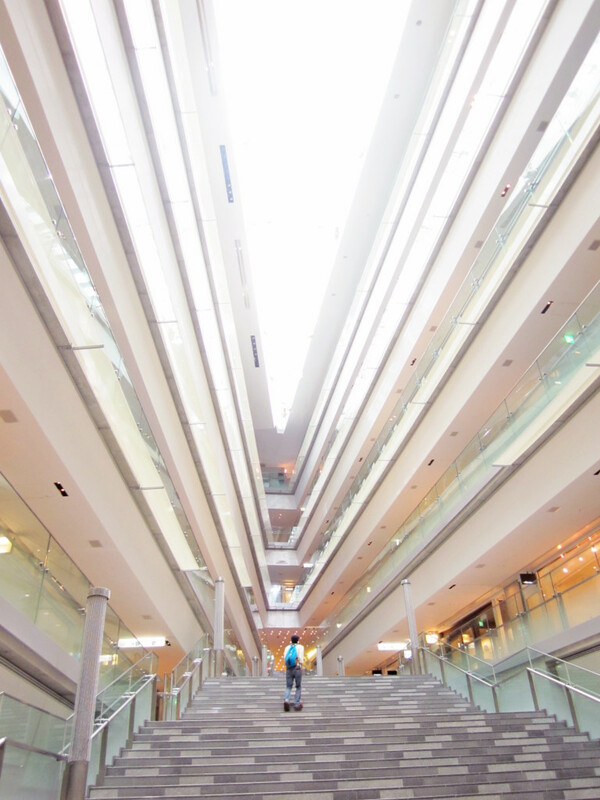 If you need to rest your feet (or use the restroom hehe), head to GRYE – the fancy building located at the end of Cat Street. 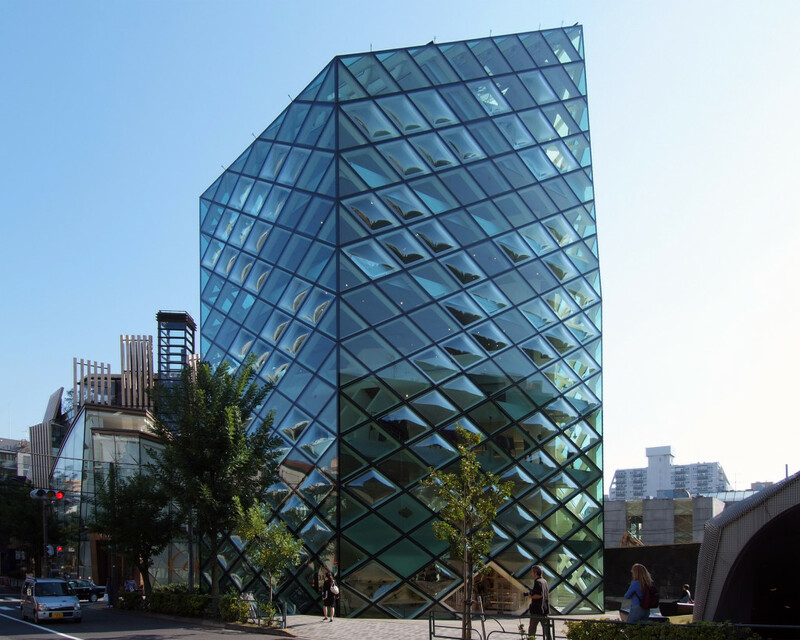 The GYRE building houses stores like Chanel, PLAY by Comme des Garcons and the MoMA Design store, as well as the famous teppanyaki restaurant Ukai-tei. 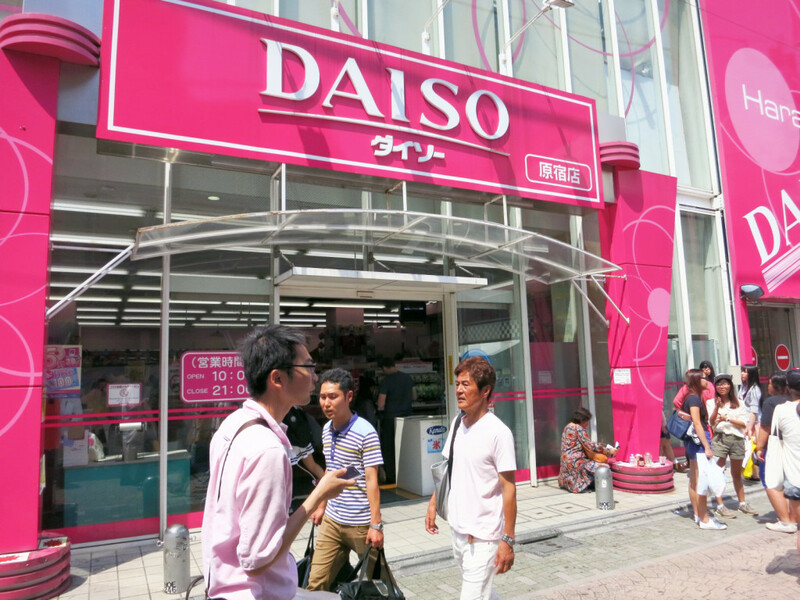 The Daiso in Harajuku’s famous Takeshita Street is the MOTHER of all Daisos. 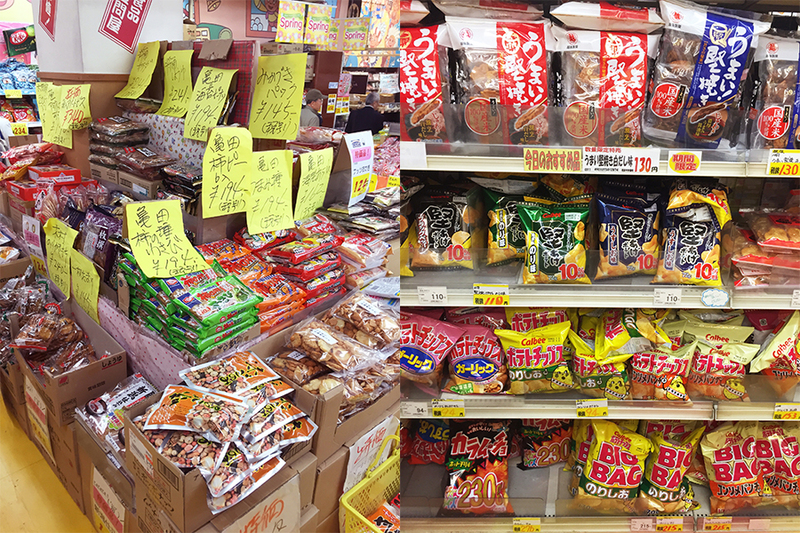 With 4 floors of items for 100 yen apiece, you’ll probably end up buying a truckload here (you’ve been warned). 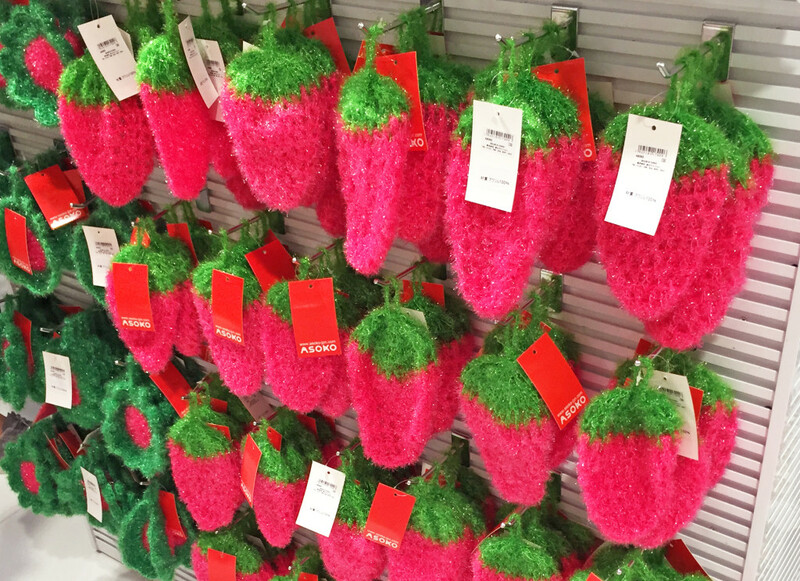 Besides the usual items like hair accessories and snacks, you can also find a wide range of stationery, decorations and even gardening items here. And when you get tired from all that shopping, treat yourself to an ice cream cone (yes, 100 yen too) from the refrigerated section near the cashiers. Oh and FYI – you have to pack and bag your own items, so don’t be surprised if the cashier stuffs a few plastic bags into your basket and motions for you to move away after paying. It’s all about efficiency in Japan, you know? If you have time, check out the cool Calbee shop located a few stores down. They have all sorts of crazy flavours, so it’s worth a try. 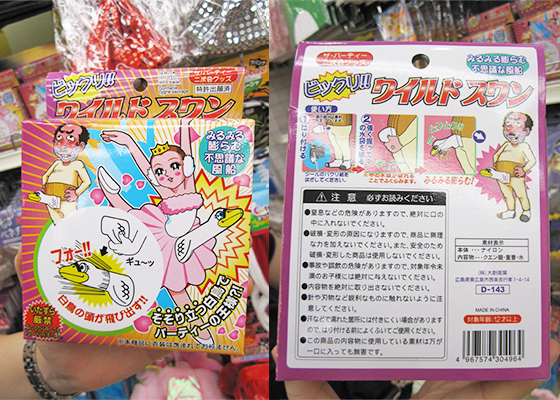 Some of the many strange things you can find at Daiso. 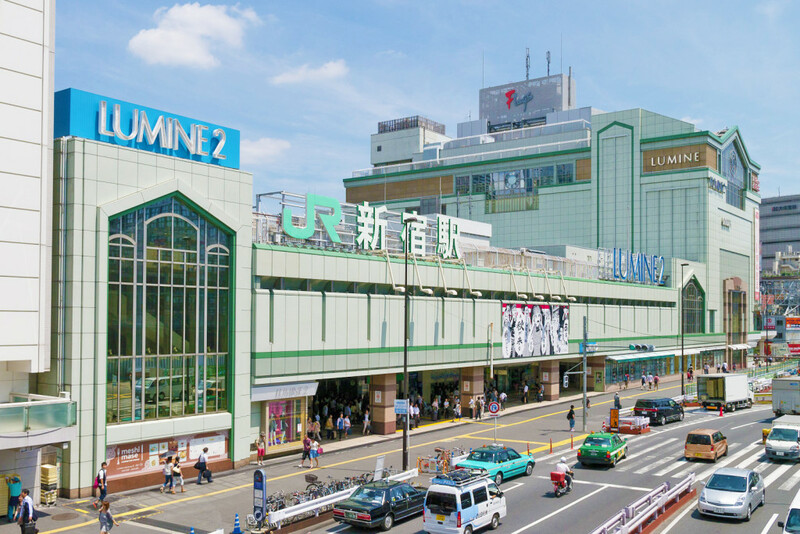 LUMINE is a giant (not even exaggerating here) shopping mall that is connected to Shinjuku station. There are 3 main buildings – LUMINE 1, LUMINE 2 and LUMINE est – and you will most likely get lost trying to navigate your way through these buildings. Don’t worry though, because each building has a concierge – so you can get the nice Japanese ladies there to give you directions if you get lost. If you’re short on time, head to LUMINE 1 first because it has the most stores, including TOMORROWLAND and United Arrows. For a list of stores in each building, see here. LUMINE 2 has more Japanese fashion brands, while LUMINE est houses the younger and cheaper brands. What’s a trip to Japan without a visit to UNIQLO eh? 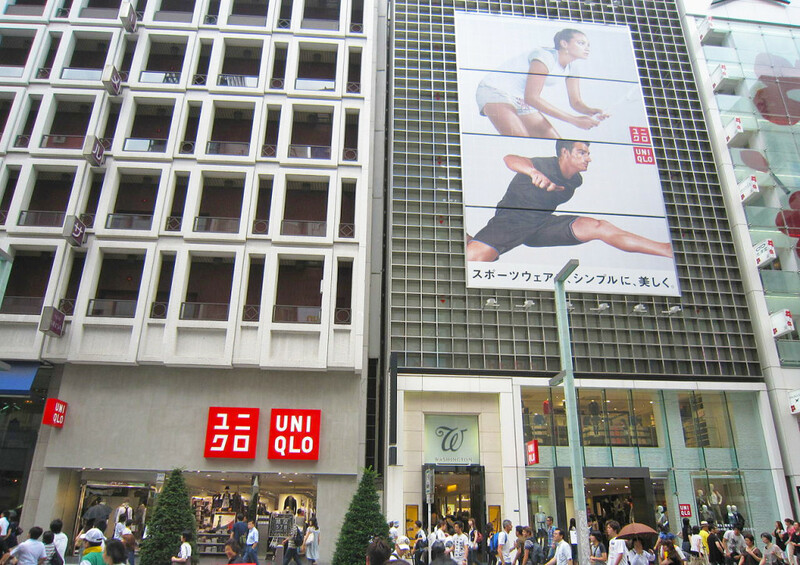 The outlet in Ginza is the world’s largest UNIQLO store (as you will be reminded by the friendly announcements welcoming you to “Japan largest UNIQLO shop!”) so it’s worth a visit. 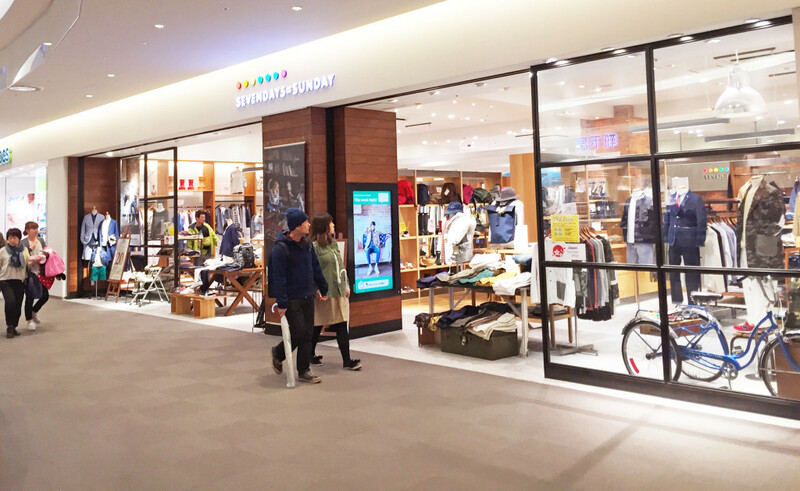 Besides your usual basics, the UNIQLO Ginza store also has the UT T-shirt line, as well as seasonal and collaboration collections. Now here’s a fun fact – apparently the staff there speak 6 languages – Japanese, English, Spanish, French, Chinese and Korean. 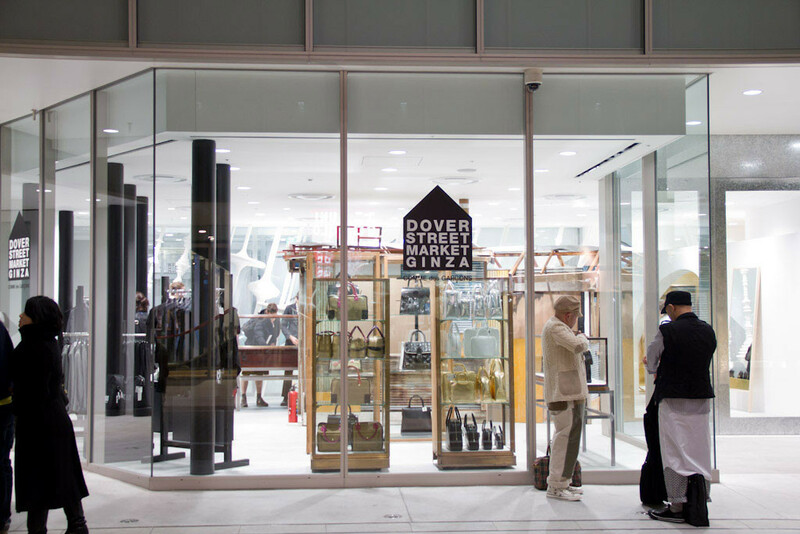 The building is also connected to Dover Street Market Ginza, which carries more upscale brands like Alexander Wang, JW Anderson and Saint Laurent. It’s a nice place to check out, but you probably won’t buy anything there because everything is kind of expensive. 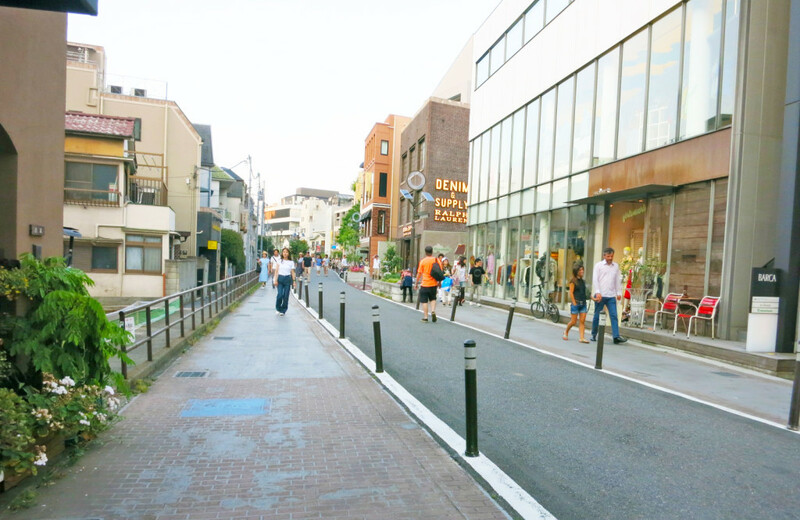 Aoyama is one of the more posh areas in Tokyo, so it’s no surprise that its backstreets have dozens of interesting boutiques. From the iconic Prada store (you can totally take your Tokyo OOTD outside the building) to concept stores like LOVELESS, shopping in Aoyama is a whole different experience. 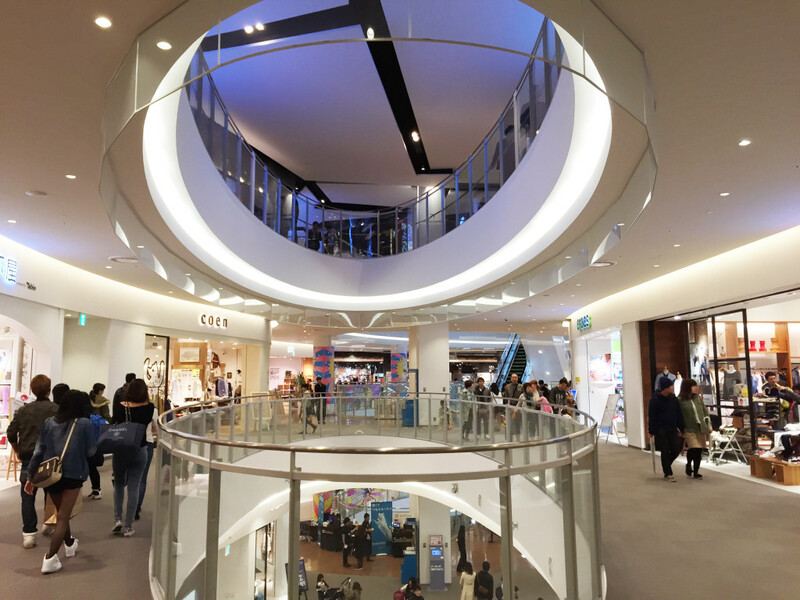 Speaking of posh areas, Omotesando Hills is one of the fanciest malls we’ve seen in Tokyo. Besides luxury boutiques like Saint Laurent, Jimmy Choo and Anteprima, the mall also has several upscale multi-label boutiques. While you probably won’t buy much here, it’s still worth a visit – the architecture of the mall is one-of-a-kind and there are several nice cafes/restaurants there. 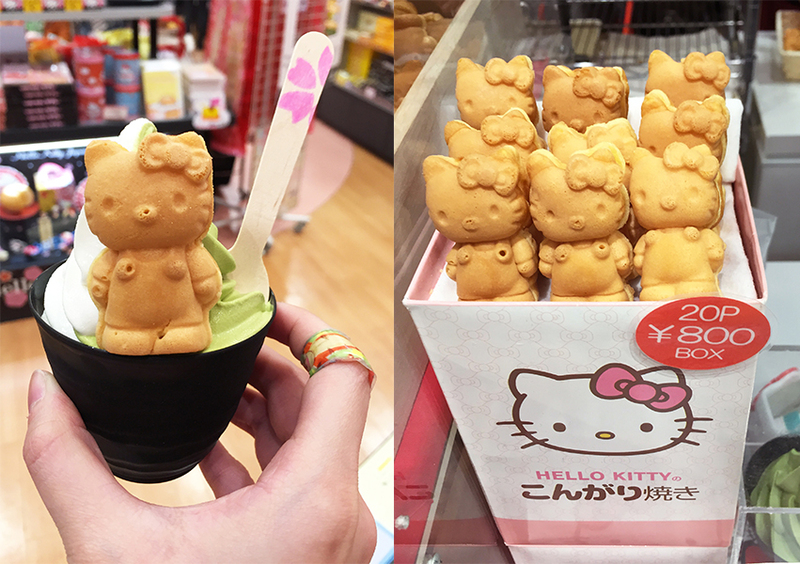 If you have some time to spare, make a trip to Ueno for a different shopping experience. 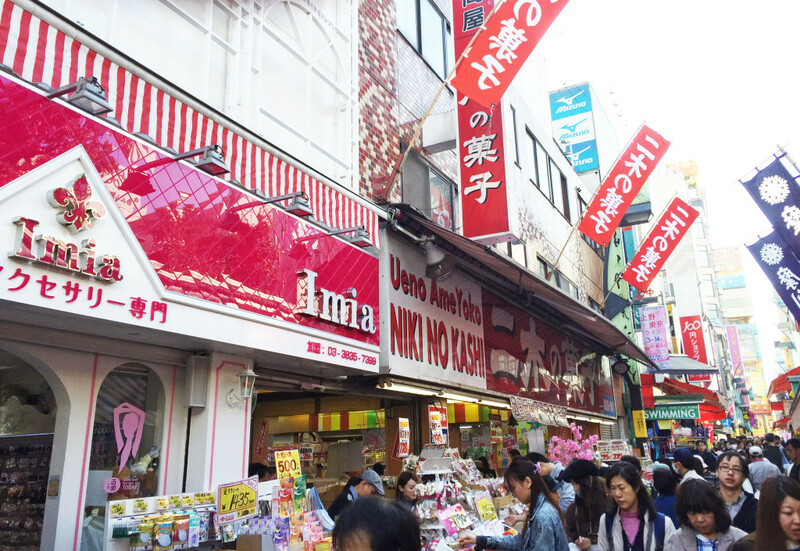 The famous Ameyoko Shopping Street in Ueno has everything from fresh fruit and seafood, to cheap clothes and knick-knacks. 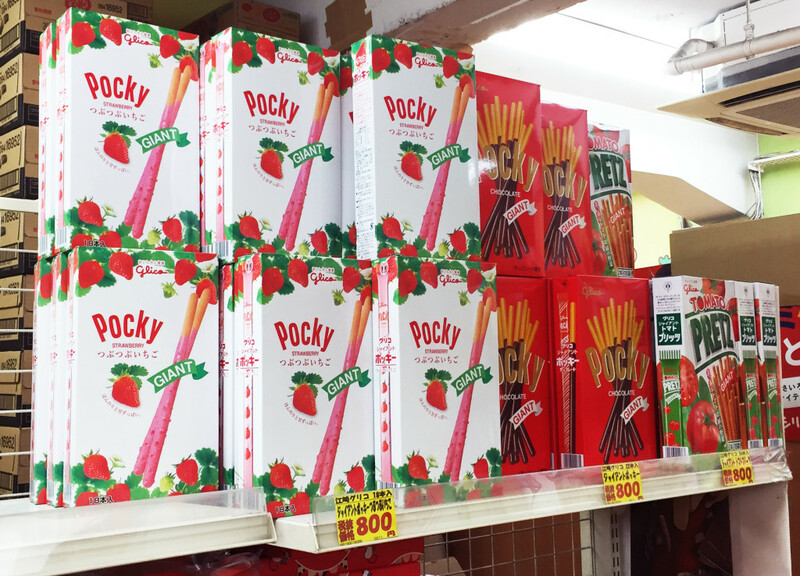 There is also a big outlet store there that sells Japanese snacks at discounted prices, so you can stock up on your favourite snacks (Green Tea KitKat anyone?). DiverCity Tokyo Plaza is a huge mall located in Odaiba, which is about 20 minutes from Tokyo city. 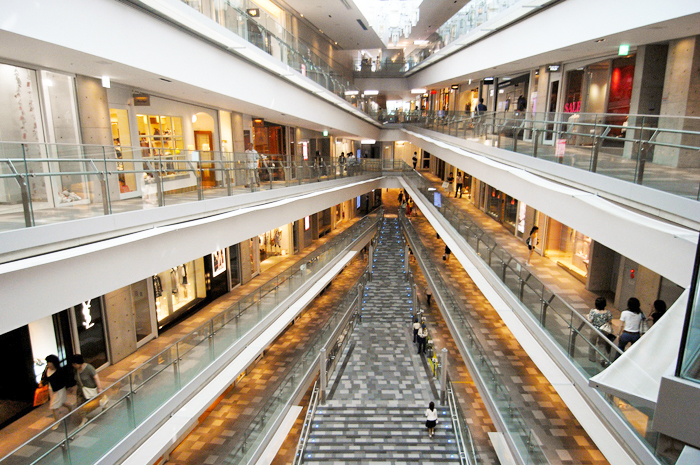 The shopping mall has almost all the popular local brands, such as Cecil McBee, E hyphen world gallery and Samantha Thavasa, as well as international brands like ZARA, UNIQLO and Marc By Marc Jacobs. 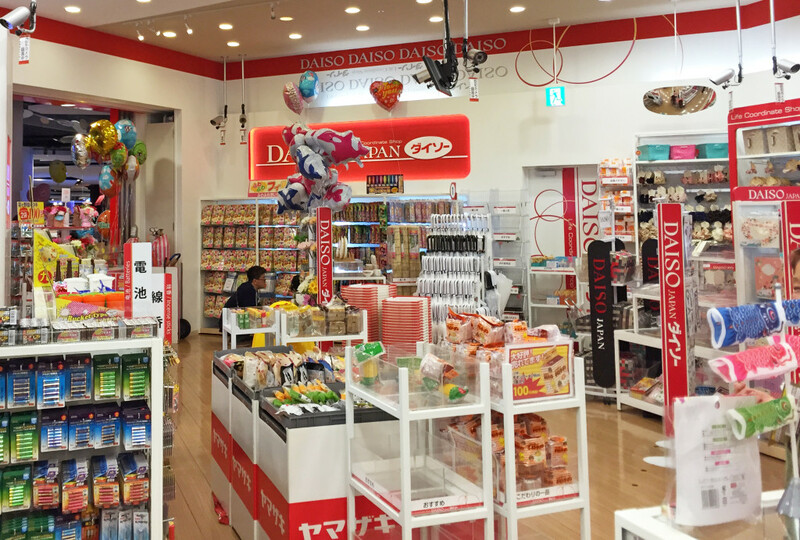 They also have a Daiso and…wait for it….a Hello Kitty store (you know you want to go). 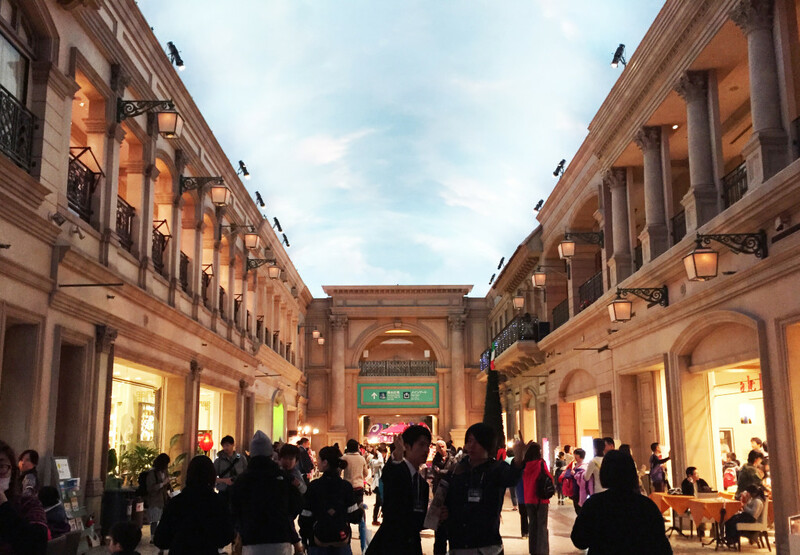 While you’re in Odaiba, also check out neighbouring shopping mall Venus Fort. The building is located a short distance away from DiverCity Tokyo Plaza, and has outlet stores for brands like EMODA, Nike and more. The decor of the building is rather interesting as well – almost like Caesars Palace in Las Vegas. 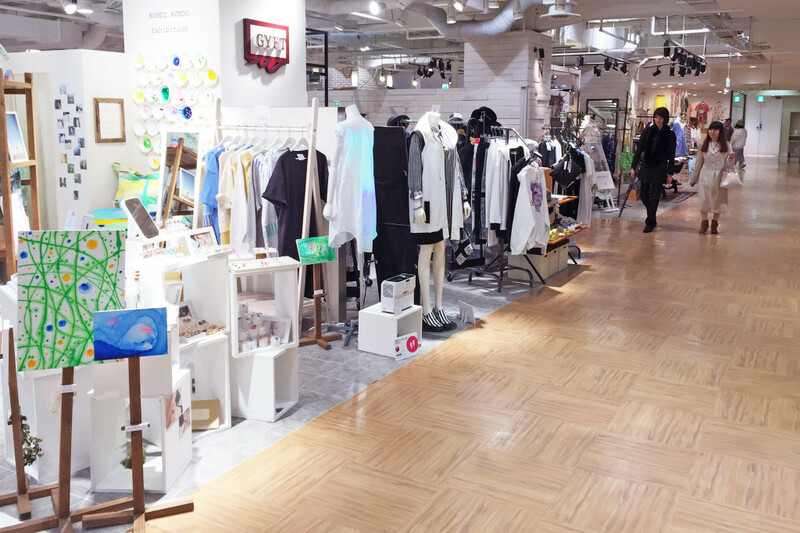 If you’re in the Shibuya area, don’t forget to check out PARCO Shibuya. The department store has two main buildings – PARCO Part 1 and PARCO Part 3 (apparently there used to be a Part 2, but the building has been closed for renovation for sometime). 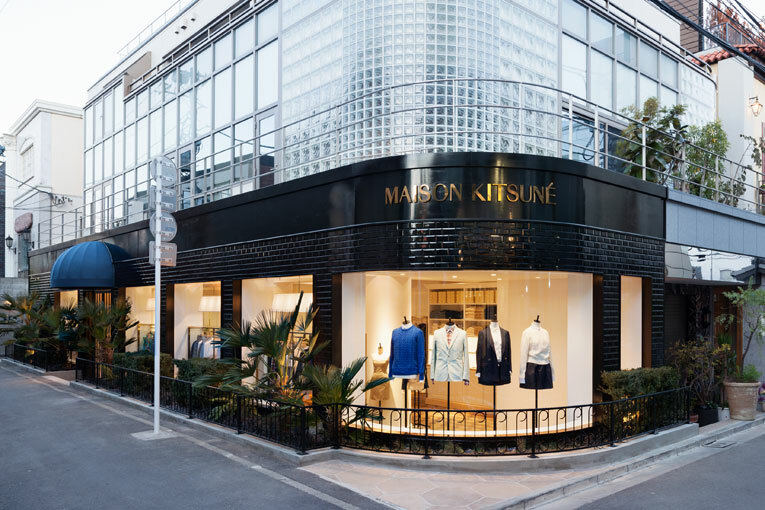 The 10-floor PARCO Part 1 building has more upscale stores like Opening Ceremony, Bao Bao Issey Miyake and Tsumori Chisato while PARCO Part 3 has younger, more high-street local brands like Majestic Legon, WEGO and LOWRYS FARM. For a full list of stores, see here and here. 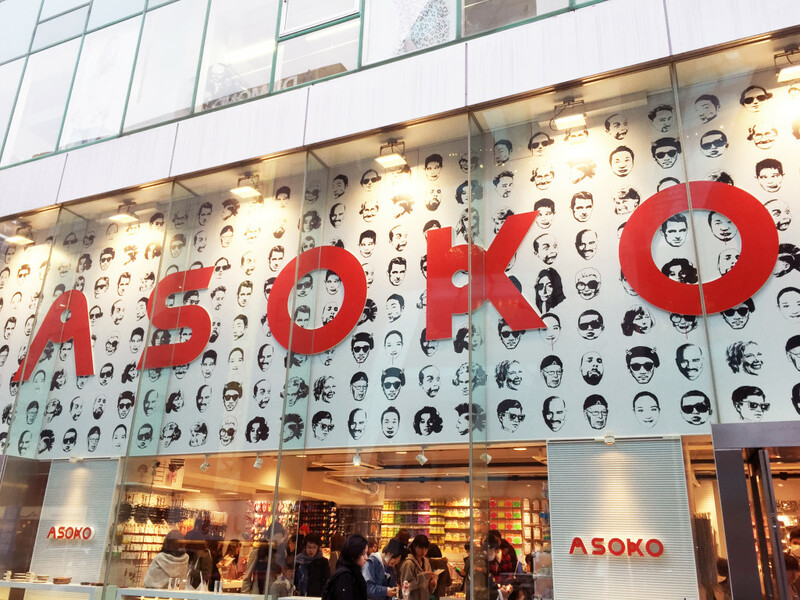 ASOKO is a cool and somewhat hipster store that sells all sorts of funky variety items. 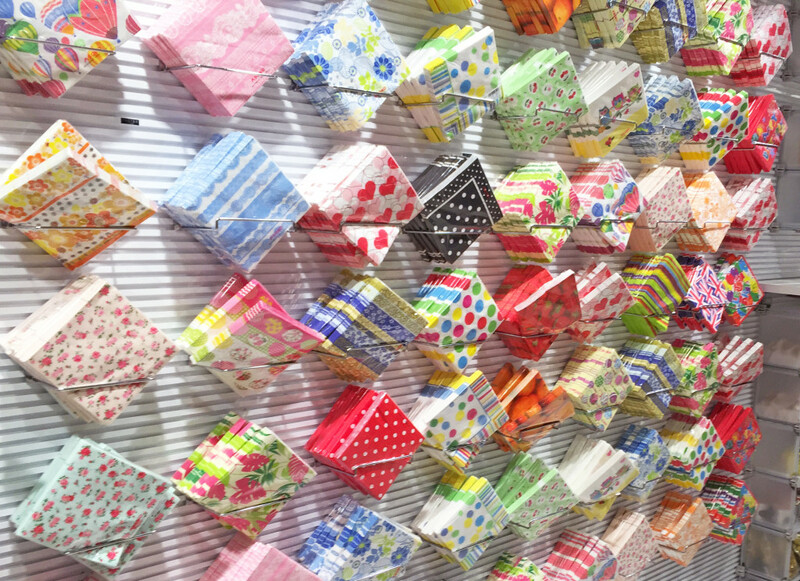 The items are displayed like an art gallery, and you can find anything from quirky pens to cute dishwashing sponges there. The new store in Harajuku usually has a line to enter though, but if you go on a rainy day (or off peak hours) you can get in relatively quickly. If you’re new to Tokyo (or just generally very bad at directions), we recommend renting a pocket Wi-Fi device so you can use Google Maps on the go. It’s quite affordable (about $10 a day) and it will SAVE YO’ LIFE because navigating the streets of Tokyo is a tricky process. And getting lost means less shopping time, no? Try Global Advanced Communications – we’ve ordered from them before and everything went smoothly (not an ad). They’ll deliver the device (for free) to your hotel at least 1 day before you arrive, or you can opt to pick it up at Narita or Haneda Airport. To return the device, you just have to pop it into the return envelope and drop it in any post box. Seriously guys, a pocket Wi-Fi will change your life.